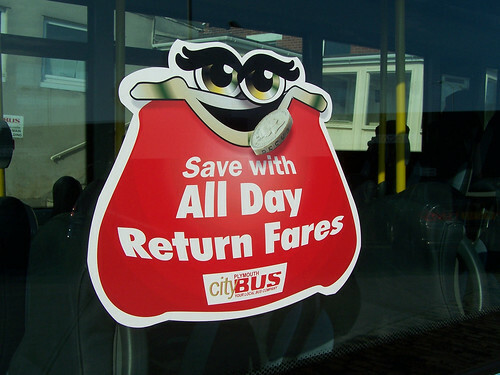 Citybus have now started to publicise their new all day returns policy with what I feel is a slightly sinister looking purse logo. 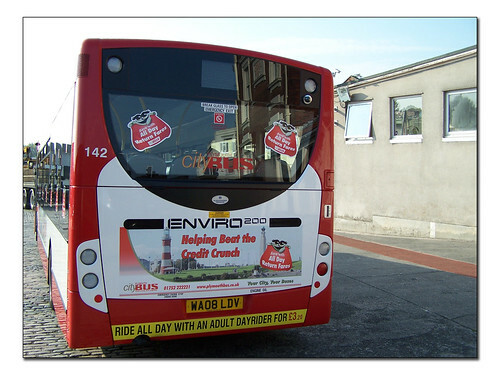 142 below also demonstrates the rear end advert carried by some buses too. that's what I was always told. On a totally different subject - I spent the day at Kingsbridge for the WHOTT Running Day. Glorious weather for a great event. Lots of pictures taken which are still on the camera but some will appear here during this next week. Tomorrow its Exeter Westpoint for the rally there. A very busy weekend!